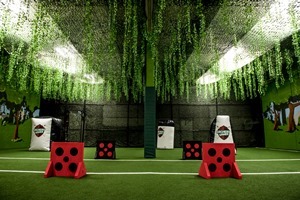 OMAHA’S ONLY INDOOR ARCHERY ARENA AND THE ULTIMATE ACTION EXPERIENCE! 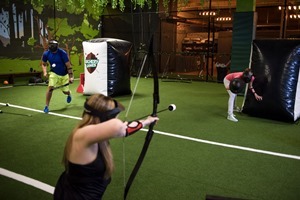 The game allows 2 teams to battle it out with bows and foam tipped arrows in the Archery Games arena. 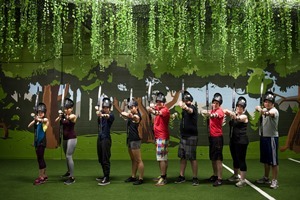 The game-play is similar to dodge-ball and the ultimate objective of the game is to tag all of the opposing players with arrows in order to eliminate them from the game. There is also no painful marks or bruising from the arrows. 100% safe and an activity that everyone can enjoy! No previous archery experience required and our skilled staff will take all players through 25 minutes of instruction and target practice. We offer Regular Sessions where you can book into one of our public games and join other players. 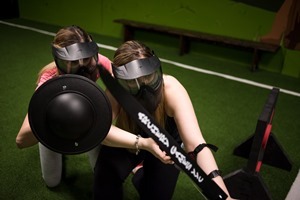 Private Games are available if you would like to reserve the entire arena for your group. Birthday Packages are available in our Events section. 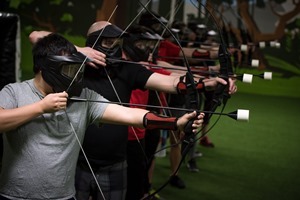 Please note: Archery Games is best played with large groups – unless purchasing the private arena rental option you will be playing with all of the other players booked into the timeslot (to a maximum of 16 players). 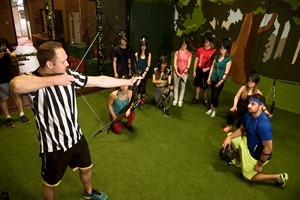 Rent the entire field and have a private Archery Games session for only your group. Every Sunday afternoon at 12:00pm Archery Games runs a youth game for 7 to 11 year olds! 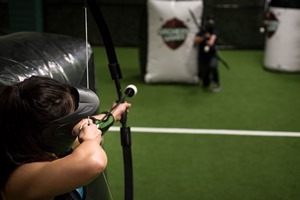 We utilize smaller bows with a lower draw weight in the archery session, that allows younger children to experience the sport of archery arena tag. Parents are allowed to join in on the games as well, but must also utilize the youth bows for the session. 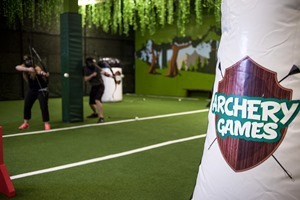 We also have axe throwing at our facility! 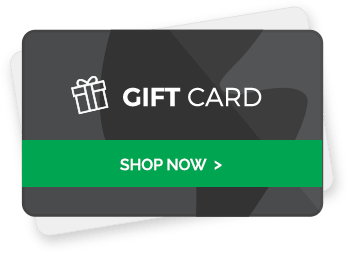 Looking to add on an axe throwing event to your archery game? We offer discounts if you want to do both activities in the same-day, please contact us for more details. Please contact us for private arena rentals outside of regular hours.